For the first time in many years, Ramses chooses not to accompany his parents on their yearly excavation. At the tender age of 11, Ramses has fallen in love. 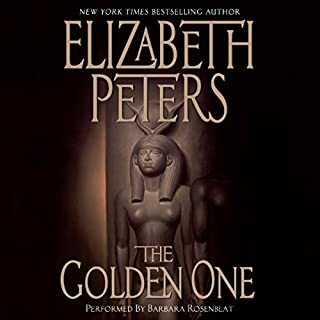 The object of his affection is 13-year-old Nefret, the auburn-haired beauty the Emersons rescued from the clutches of the ancient city of Napata, now safe in England where the needlessly solicitous Ramses can keep a watchful eye on her. 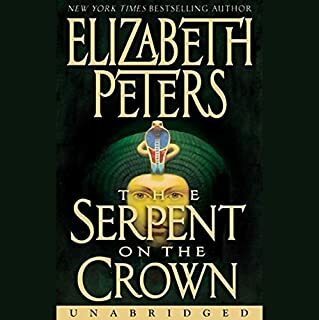 Ramses' new obsession does not deter him from putting in his two cents worth, however, in a series of lengthy epistles to Egypt, containing enough elaborate syntax and romantic ardor to stretch his mother's patience to the very breaking point. Her son's budding affaire de coeur reminds Amelia of her once-tumultuous romance with Emerson. She is hopeful that their time alone together will rekindle old flames. 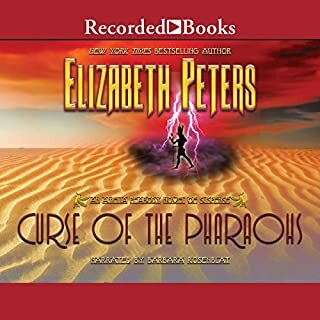 But every confidence meets with disaster when Emerson is ambushed, kidnapped, and severely wounded on the road to Luxor. Rescued, and squirming under Amelia's gentle ministrations, Emerson wastes little time in recovering his irascible nature, but to Amelia's dismay, he seems to have no recollection of who she is! 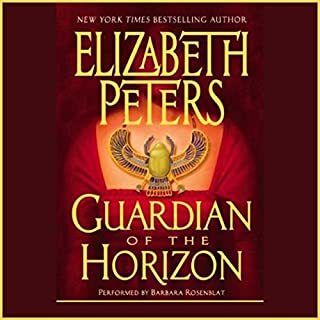 Now, both past and future are in jeopardy as Amelia attempts to locate Emerson's attackers; prevent his disclosure of an important artifact relating to Nefret's security; and renew feelings in him that appear as remote as a Pharaoah's tomb. 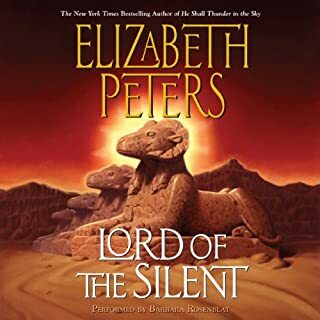 ©1992 Elizabeth Peters (P)1992 Recorded Books, Inc. 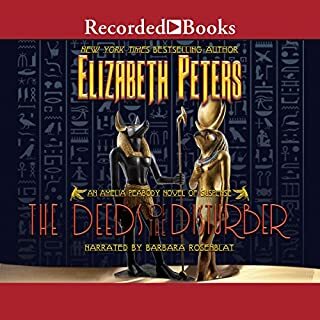 I love the Amelia Peabody series. Such excellently drawn characters and well thought out plots. Barbara Rosenblat does a superb job of bringing them all to life. I cannot imagine another narrator for this series. My only complaint is some sloppy editorial work in not removing all the end of cassette ...’ messages throughout the recording . This absolutely sparkles with wit and fun. 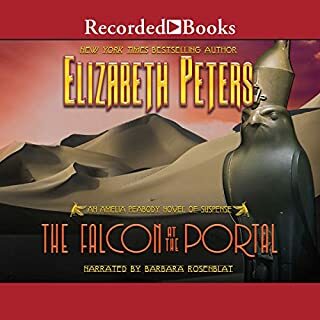 This is the pinnacle of author-narrator collaboration, and a title you'll enjoy listening to more than once. 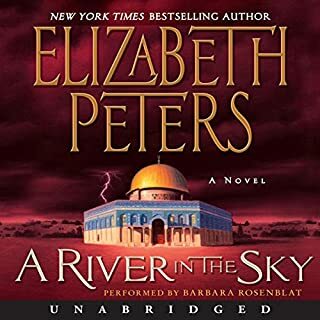 Ms. Rosenblatt is one of my favorite narrators, and her approach to Amelia Peabody Emerson is spot-on in my opinion. 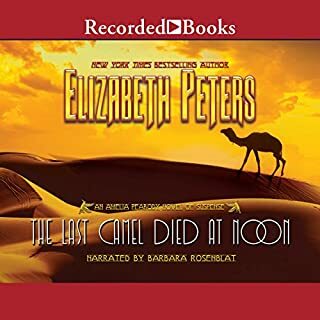 Having listened to her with the Nevada Barr mysteries, I thought she was American yet it seems her British accent is perfect too. Go figure! Anyhoo, of the Amelia Peabody series, this is my favorite. The plot twists make it fresh and exciting, and the banter of all characters is hilarious. A very fun listen. This is one of my favorites of all the Amelia Peabody stories. Barbara Rosenblat is, of course, THE voice of Amelia and brings her to life, where Susan O'Malley could not. The story is also just fun, exciting, and suspenseful. 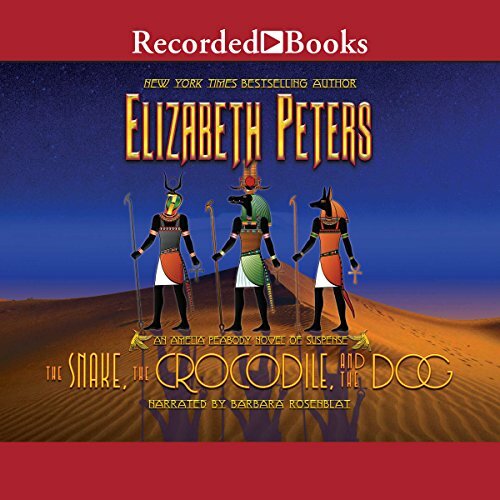 Of course, anyone considering this recording should at least listen to Crocodile on the Sandbank first in order to understand Amelia and Emerson's relationship. 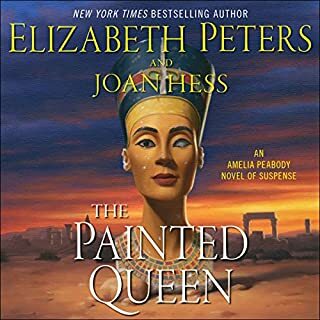 This is Book 7 which means that I've spent the last half year listening to Amelia Peabody. And whenever I've finished one I looked forward to the renewal of my subscription so I could get the next book. If this doesn't tell you what I think of this series, nothing else I say will. I love Peabody (as she's affectionately called by her Emerson), the way she talks, behaves and misjudges herself and others (of course, without being aware of it). Plus. Ms. Rosenblat's reading is on the spot. What happened to Book 8? 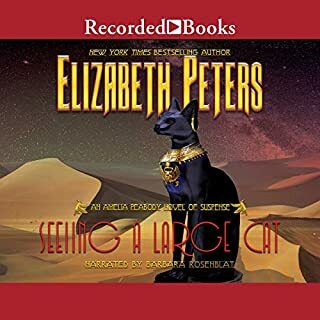 I join others in saying that is a very entertaining series with adventure, a little romance, plenty of humor and characters with lots of personality. As soon as I have heard the one (narrated by Rosenblat please)I am ready for the next Peabody adventure. 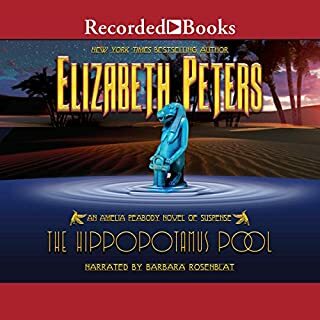 You can imagine my disappointment that I cannot locate Book 8, The Hippopotamus Pool at Audible. Anybody know why? 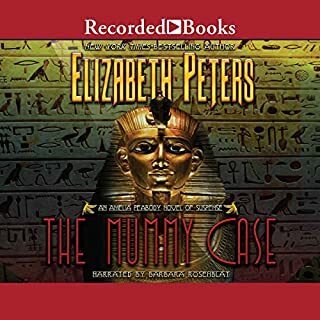 I was worried about this seventh book in the Amelia Peabody series; having listened to the books in order of their publication, I wasn't sure of my reaction to a different reader (Susan O'Malley did an excellent job on the first six books). 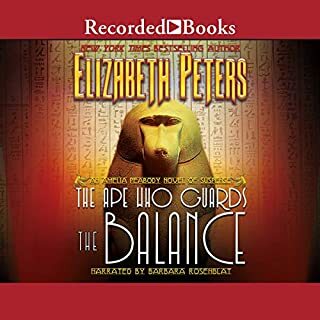 It took me less than one hour to get used to the narrator for this book, Barbara Rosenblat, who does such a great job that I intend to listen to it again! 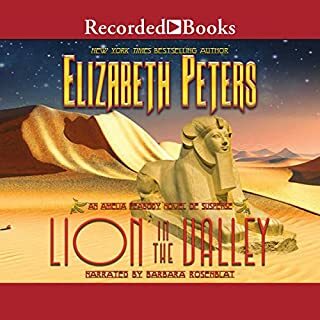 You always know what Peabody is really thinking, no matter what she says; Emerson's meaningful growls and Ramses' angelic voice had me laughing out loud: it was that delightful! I can't wait to get the next one! 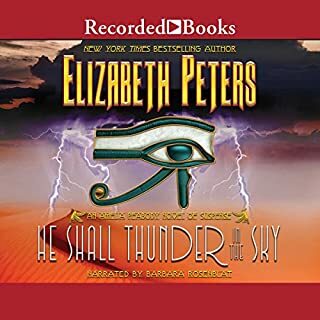 I have long enjoyed Elizabeth Peters' Amelia Peabody books but they are even better when read by this incredibly talented voice artist. Bravo. Wonderful, fun, and oh so engaging! 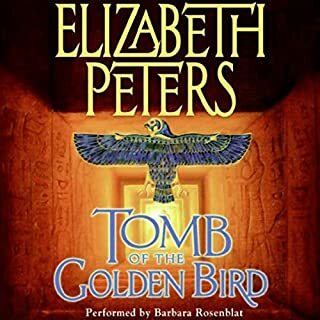 Elizabeth Peters is Emilia Peabody, and Barbara Rosenblat brings this adventure to life! 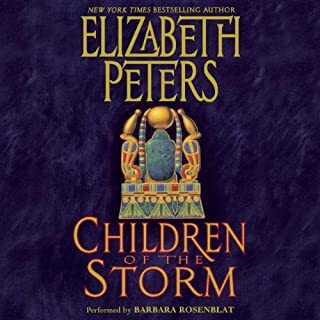 I have listened to this book (and the entire series) dozens of times, and loved it every time! Marvelously amusing mystery read by the most skilled vocal actress " of this or any other century." It's a must listen.